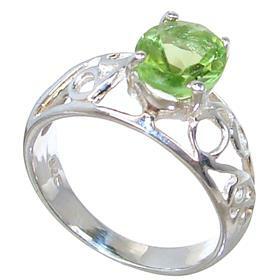 Peridot is found in China, Pakistan, Australia, Egypt, Norway and the USA. 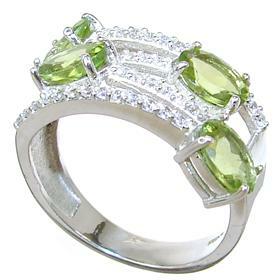 It’s usually a bright green colour but can also be more yellow/green and can easily be confused with emerald. 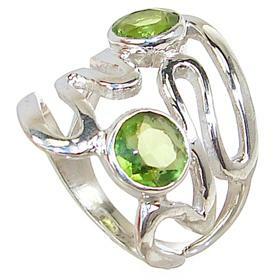 Bottle green Peridot lies in the olivine mineral group. 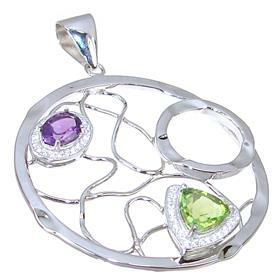 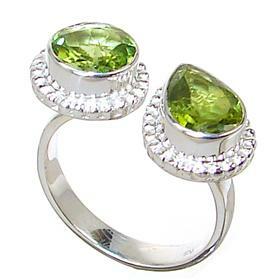 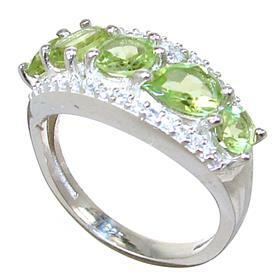 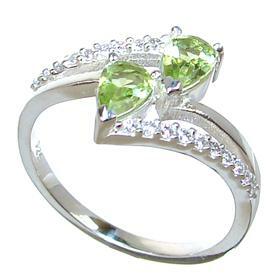 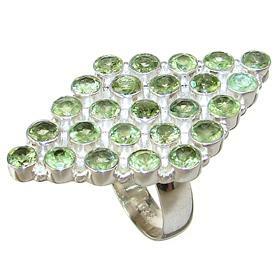 The yellowish green gemstone is called chrysolite and olive green colour is called olivine. 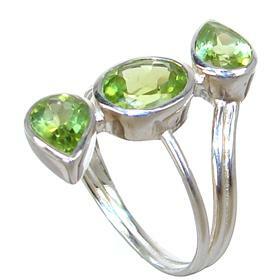 Legend says Peridot jewellery was the favourite of Cleopatra and Hawaiian myth claims that Peridot gemstones are the tears of the goddess Pele. 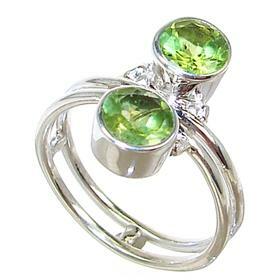 In crystal symbology green is the colour associated with healing while yellow is connected with the will and the intellect. 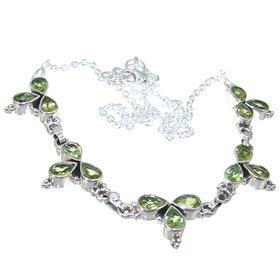 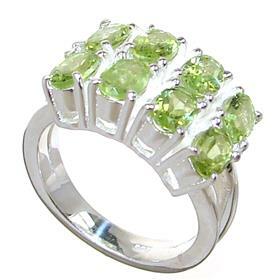 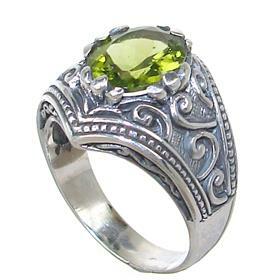 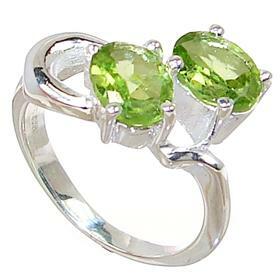 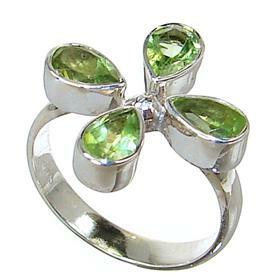 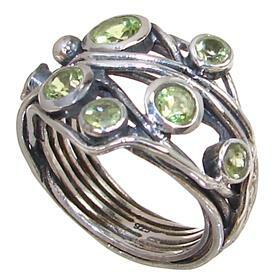 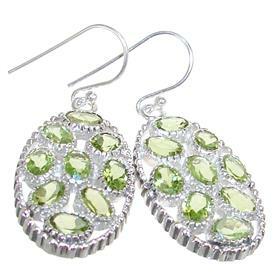 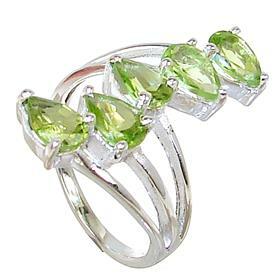 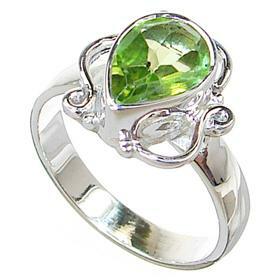 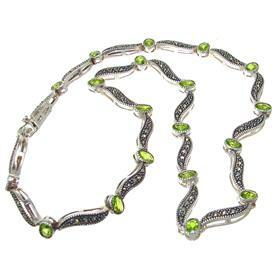 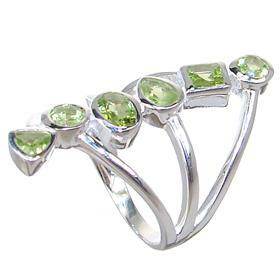 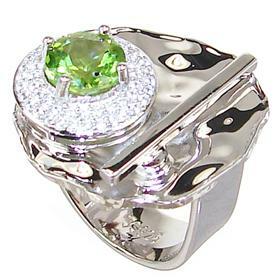 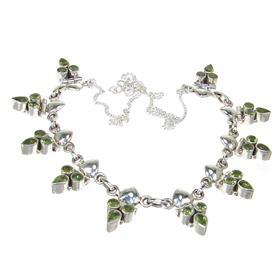 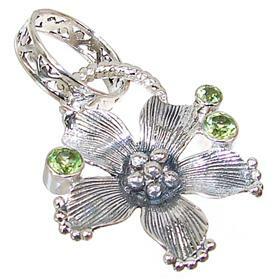 Peridot jewellery relates well to healing the wounds of the ego and is also the birthstone for August.